Tim Holtz Distress Oxide Ink is a water-reactive dye & pigment ink fusion that creates an oxidized effect when sprayed with water. Use with stamps, stencils, and direct to surface. Blend using Ink Blending Tools and Foam. 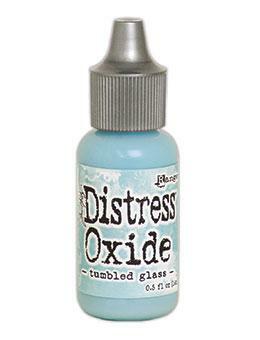 Use to re-ink Distress Oxide Ink Pads.